This month, Dr. Gandhi writes about new resources to help advance patient safety in primary care settings. NPSF is now offering a new educational module, Promoting Clear Health Communication with Ask Me 3, to aid health care professionals in helping patients increase their understanding of health care information. Learn more and access the module and other materials. NPSF and CRICO are collaborating on a project to identify best practices for managing referrals using electronic health records (EHRs). Read the press release. 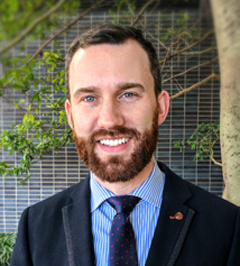 The National Patient Safety Foundation (NPSF) and the International Society for Quality in Healthcare (ISQua) have established an agreement to jointly promote patient safety education and professional certification, enabling past and current participants of the ISQua Fellowship Programme to pursue the Certified Professional in Patient Safety (CPPS) credential. Read the press release. CPeH is a coalition of more than 50 consumer, patient, and labor organizations working to advance health information technology to meet the needs of patients and families. Learn more about the partnership. The Sherman Award, a partnership between EngagingPatients.org, the National Patient Safety Foundation’s Lucian Leape Institute, and Taylor Healthcare, recognizes outstanding programs focused on engaging patients and families in care to improve patient safety and boost outcomes. Nominations will be accepted through March 3. Get the official nomination form and full details. 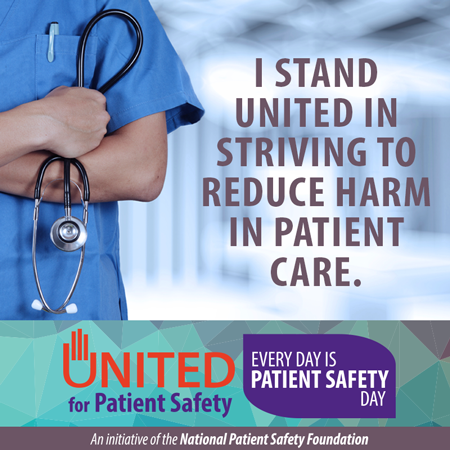 Patient Safety Awareness Week, a highlight of the United for Patient Safety Campaign, is coming soon! It is a week dedicated to raising awareness about patient safety among health professionals and the public. Use the hashtag #PSAW17chat to join the conversation with @theNPSF and others. This complimentary webcast will focus on efforts to engage the public more actively in patient safety. Learn more and register. See what else you can do to get involved. 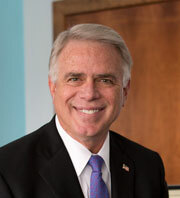 Our guest post this month comes from Richard J. Brilli, MD, FAAP, MCCM. He discusses important new developments in making care safer for infants and children. Read more. ASPPS member Susan Carr recently authored this article featured in EngagingPatients.org on patients’ communications skills. Read it here. ASPPS member Dawn M. Evans, MSN, RN, PHN, CPPS, patient safety officer at Barton Memorial Hospital co-authored an article featured in the January 2017 issue of The Source by The Joint Commission on her organization’s efforts to increase capnography use. Here’s the abstract. ASPPS member Michelle Feil, MSN, RN, CPPS, was featured in a January HealthLeaders Media article about focus zones and cross monitoring. Read the full article. Meet Adrian White, RN, MBA, CPPS, the ASPPS member featured this month in our latest Member Spotlight series blog post. Go here to find more ASPPS member news. NPSF congratulates all who achieved the CPPS credential during the month of January 2017. Find out who they are. The 2015 NPSF report, RCA2: Improving Root Cause Analyses and Actions to Prevent Harm, was recently mentioned in a perspective piece on PSNet which outlines each of the recommendations from the report. This course is designed for experienced professionals who plan to take the CPPS examination. It can help participants prepare for the exam by reviewing domain content areas and test-taking strategies. This is the one and only globally relevant conference with a sole focus on patient safety. Visit the Congress website for more details. Register online now and save $200. The Early Bird rate ends March 31, 2017. To view all events, visit our online event calendar. The Agency for Healthcare Research and Quality (AHRQ) is looking for hospitals with at least 50 licensed beds and have implemented an electronic health record (EHR) system to participate in a pilot test, which involves administering the survey to providers and staff. Learn more here. AHRQ has developed two e-learning modules for hospital leadership and other health care professionals. Note: Staff of organizations accredited by The Joint Commission may receive continuing education credit when accessing the modules through TJC’s online learning management system. Learn more. Two pharmacists, interviewed in a recent PSQH article, offer information for how to improve compliance and prevent negative patient outcomes. A study in the Journal of Clinical Nursing showed a reduction in patient falls with the use of intentional rounding. See the results. The Institute for Healthcare Improvement (IHI) has released a white paper which offers strategies to advance patient safety issues in areas, including leadership, teamwork, negotiation, transparency, reliability, improvement and measurement. Read the paper here. The results of an eight year Veterans Affairs MRSA Prevention initiative can be found in the American Journal of Infection Control. Full text article. A study published in the American Journal of Infection Control finds that current methods used to clean endoscopes for reuse are not consistently effective and suggests further tests and inspections are needed before endoscopes are used on other patients. This study in the journal Applied Nursing Research finds high-risk medications more likely associated with errors. Have you ever wondered about the history of medical records? Or, are you interested in where they are headed in the future? Check out this infographic. NPSF offers membership programs — for individuals and organizations — that provide valuable benefits to help you stay on top of developments in patient safety, achieve your professional goals, and help grow or sustain your organization’s patient safety program. Learn how membership can help you.